With contemporary elegance in mind, Greek designer Balloon Chic is dedicated to exquisite craftsmanship. 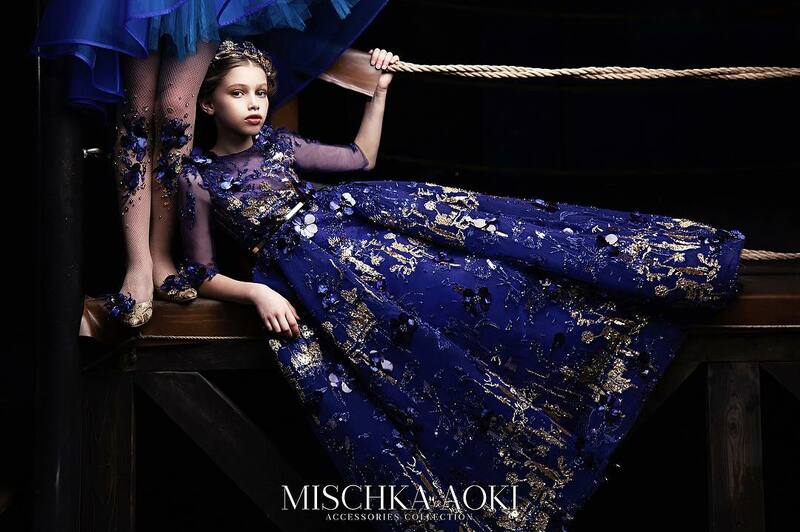 Their collection includes everyday wear for girls, as well as luxurious pieces for special occasions. 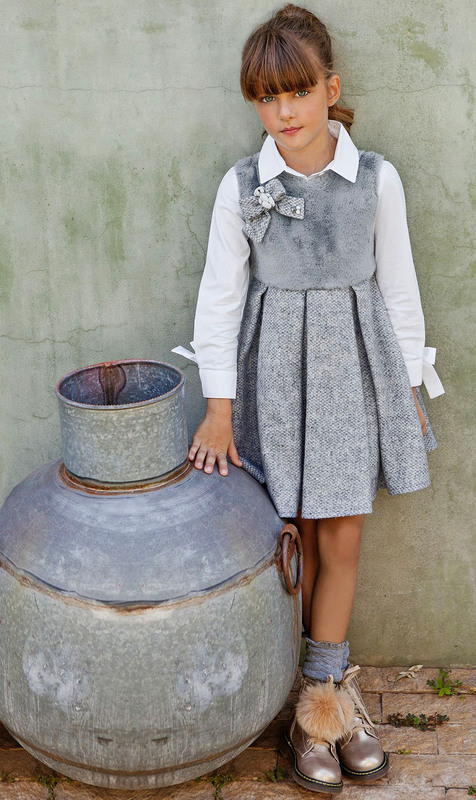 A lovely greyish-blue sleeveless dress by Balloon Chic. 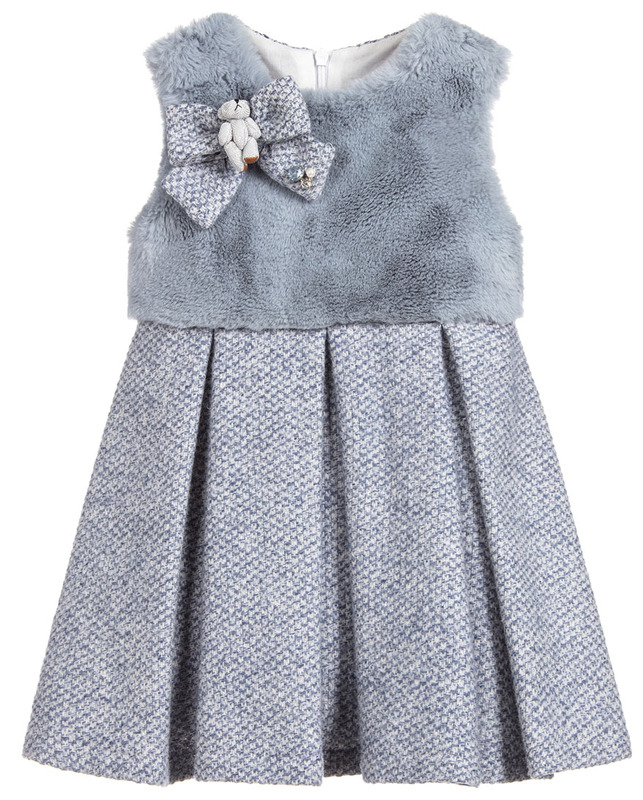 It has a plush faux fur bodice and a soft woven skirt, with a removable teddy bear brooch. This pretty dress is fully lined in soft cotton and fastens on the back with a concealed zip. A lovely soft grey dress by Balloon Chic. It has a soft bodice and fine cord skirt, which is beautifully patterned with grey dog's tooth and baby cheetahs. 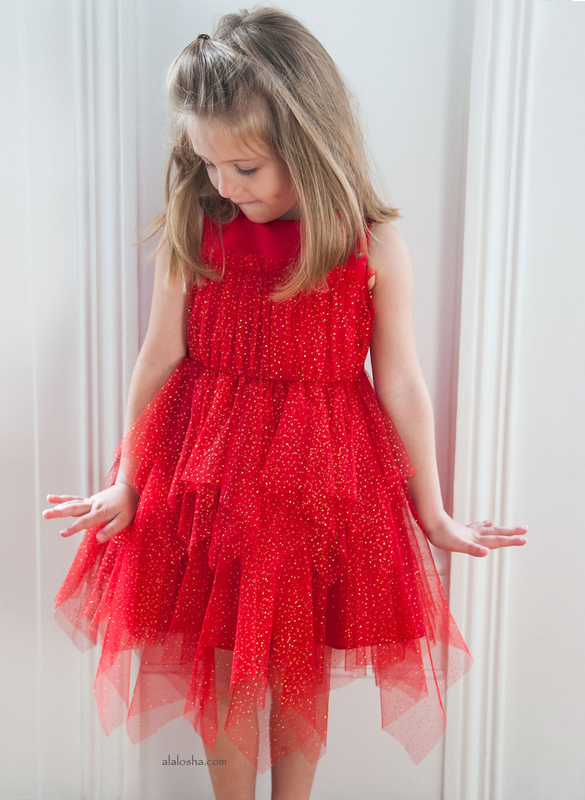 The dress comes with a removable gold pom-pom belt and is fully lined in cotton for comfort. Girls gorgeous light blue coat from Balloon Chic, made in a soft, mid-weight wool and cashmere blend. The coat is fully lined in lightweight satin, with a removable hood and bows on the waist.